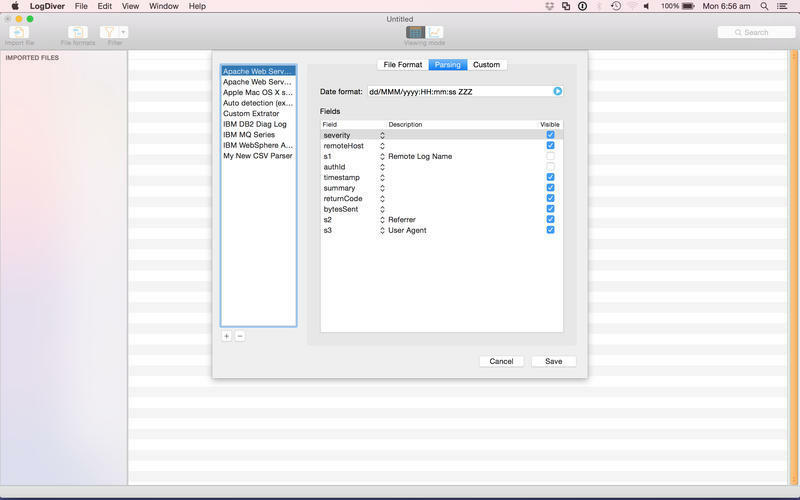 Quickly consolidate information from multiple log files. Is there a better alternative to LogDiver? Is LogDiver really the best app in Reference category? 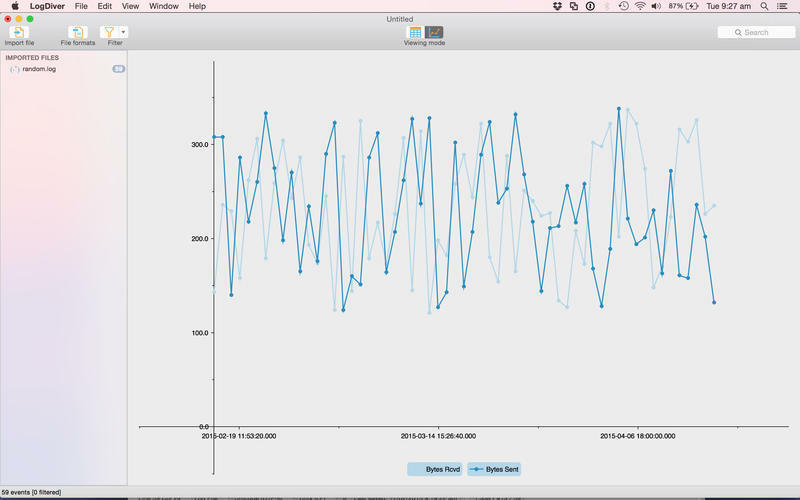 Will LogDiver work good on macOS 10.13.4? 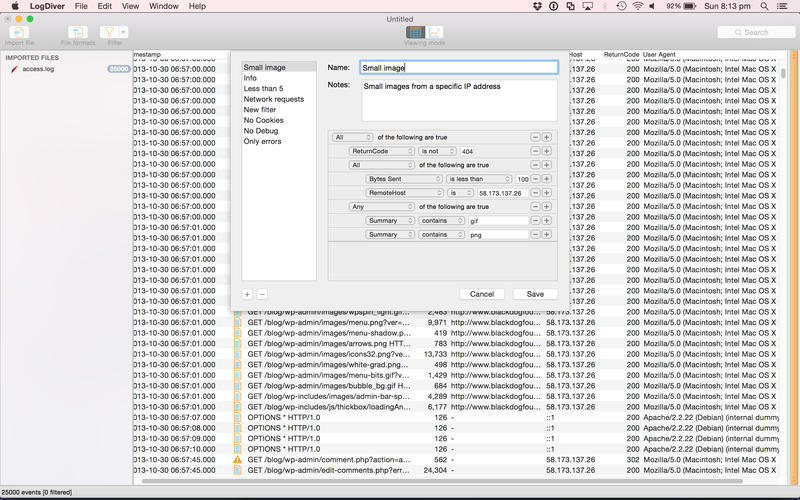 LogDiver is designed to quickly and easily import events from multiple application log files. 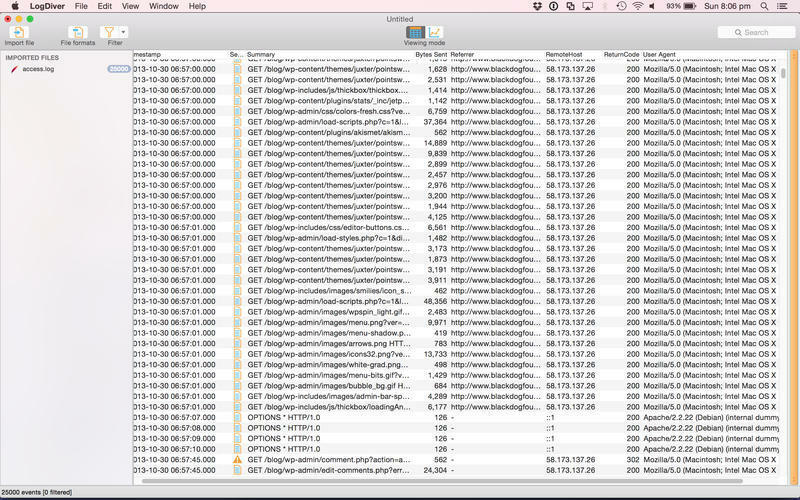 It gives you a consolidated view of your application log files across systems, servers and time zones. It comes with a number of pre-defined extractors (such as Apache, Mac System Log, DB2, WebSphere, MQ), with the flexibility to define your own custom formats. LogDiver also provides an awesome filtering capability that allows you to focus on the set of events that really matter. LogDiver is an invaluable tool for system administrators, production support and developers. LogDiver needs a rating. Be the first to rate this app and get the discussion started!